Just for Members: Choose your Cirque du Soleil discount! 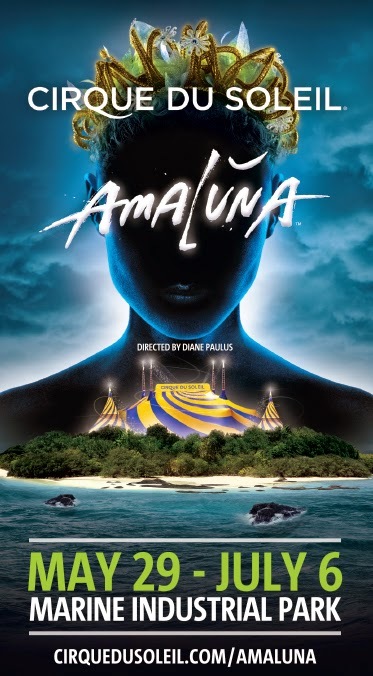 This year's show, Amaluna, takes the audience to a mysterious island governed by Goddesses and guided by the cycles of the moon. Their queen, Prospera, directs her daughter’s coming-of-age ceremony in a rite that honours femininity, renewal, rebirth and balance which marks the passing of these insights and values from one generation to the next. Tried the link for the souvenir pack but the page has moved or doesn't exist. Oh dear! Try the link again, it took some time to load for us. Also note that this page is for purchase of tickets, which will include a free souvenir pack. We updated the text to make that detail more clear. Sorry for any confusion! You're right aquser, and this was our lapse for not being more specific in the description of the offer. We've updated the text now. Sorry for any confusion!